Agent Insights - In this edition of Agent Insights, Lise Howe, an Associate Broker and Attorney licensed in DC, Maryland, and Virginia, shares how she shos her clients she is thankful. She is very knowledgable about her area and real estate in general. For more articles by her, be sure to check out her Active Rain profile! For more articles by Lise, be sure to check out her Active Rain profile or visit her website! 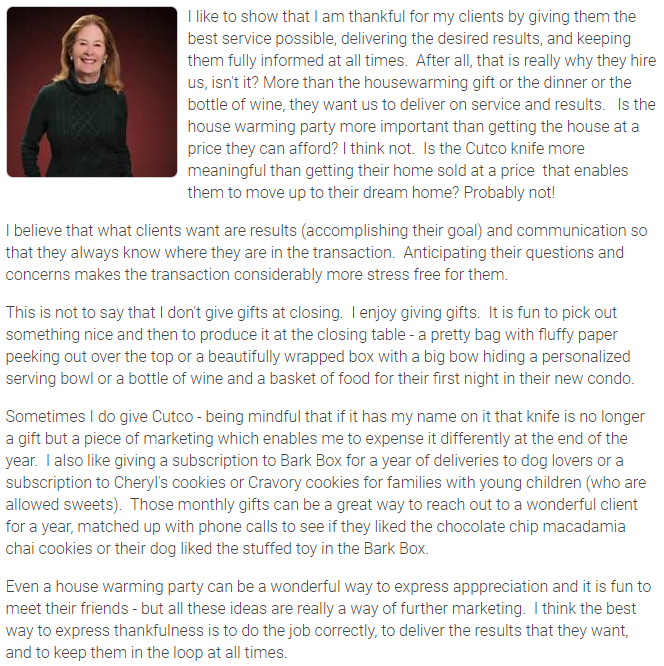 Want more advice on how to show your clients you are thankful? Click the button below!